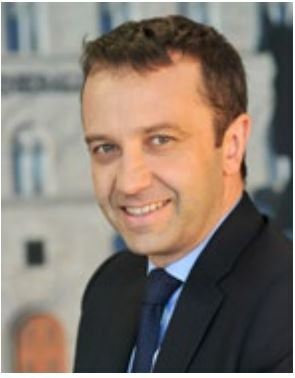 Ludovic Bayard is the General Manager of Generali Employee Benefits Network (GEB), headquartered in Brussels. He joined the Generali Group in 1998 as Account Manager in the International Life Corporate business at Generali France. He then moved to London at the Generali UK branch where he launched and oversaw the first GEB regional office in London for the International Corporate EB lines. After this experience he worked in the Generali Group Head Office, based in Trieste, to support the international operations department and in 2009 was appointed as Director Corporate Business (Life and P&C) and MENA Region. Ludovic joined the GEB headquarters in 2011 as Chief Commercial Officer, before being appointed GEB General Manager in 2015. Ludovic is a board member of Generali Worldwide (a subsidiary of the Generali Group dedicated to the Expatriates business). He holds an MBA in Finance from La Sorbonne in Paris.